If someone said they were going to Turtle Bay you imagine some exotic resort in the Caribbean with white sand, crystal clear sea, coconut palms, Rum, reggae and Jerk. 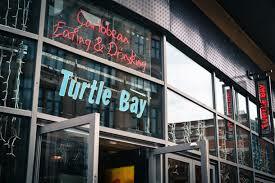 Manchester can’t offer the sand, sea or palm tree’s but Turtle Bay Restaurant can certainly offer you the latter. 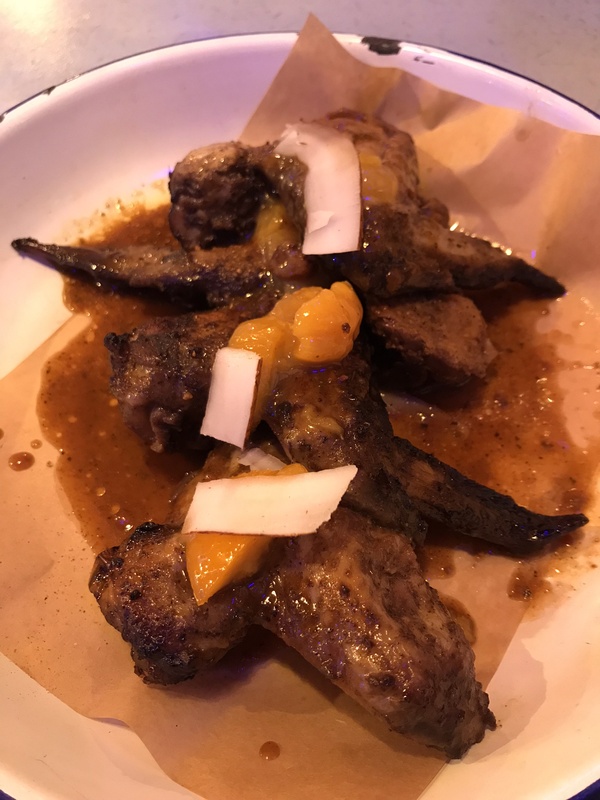 Search for Caribbean restaurants in city centre Manchester and Turtle Bay will be your only result, one situated in the Northern Quarter on Oldham Street and the other more central on Oxford Street close to St Peters square. 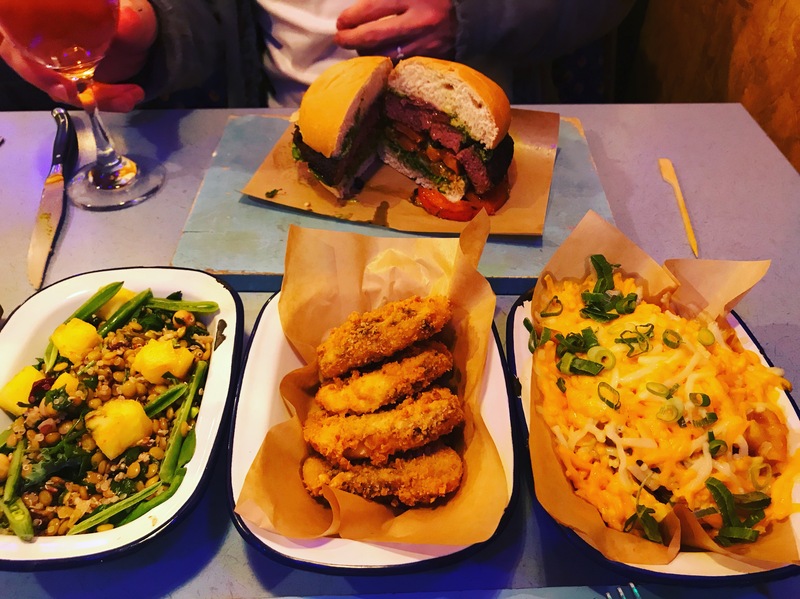 We were recently invited to sample some of their new menu, aside from the usual Caribbean options such as Jerk Chicken, Rice and Peas, Curried goat, Chickpea and Callaloo, there is a variety of wraps to choose from, one pot curry’s, numerous side dishes and a brand-new Burger section. There is plenty to choose from on their menu, vegetarians and vegans are extremely well catered for as well as an impressive cocktail menu and a wide range of rum to chose from if that’s your tipple, neither of use desire for rum so some good pinot grigio rose it was – £18 a bottle and excellent quality. The sour orange chutney was a lovely contrast with the jerk glaze we were definitely wanting more. 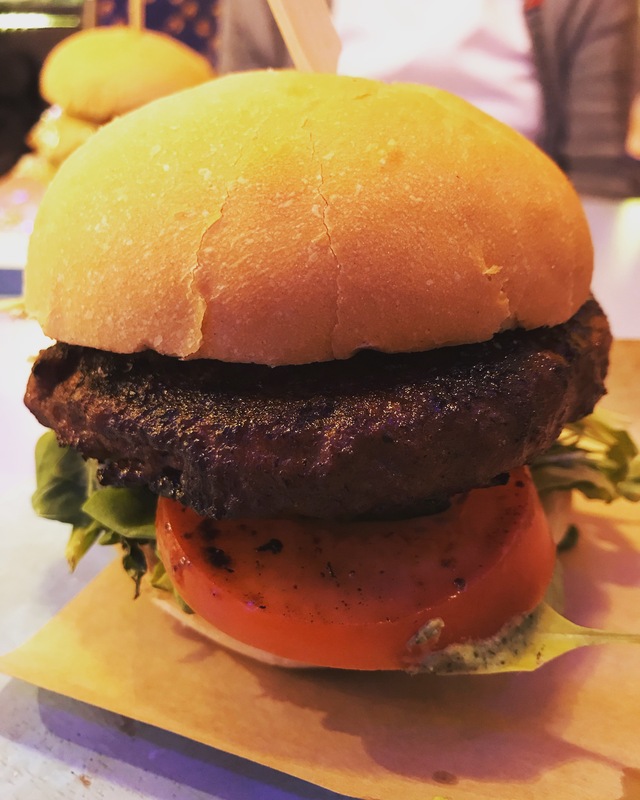 Goat is a much leaner meat than beef, don’t be fooled, this was perfectly cooked, juicy, tender and full of flavour. 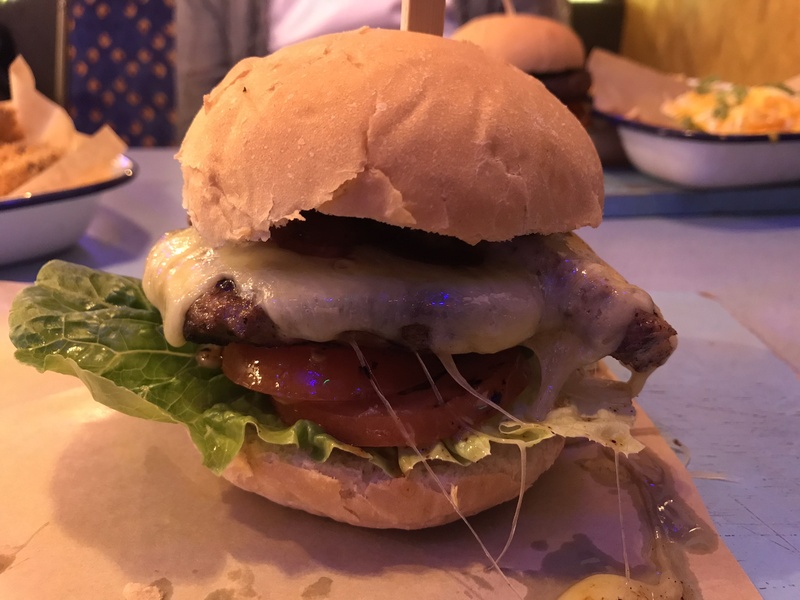 I can’t have a burger without cheese so the shack stack was for me, the patty was just cooked, juicy and well seasoned, far superior than many other burgers I’ve had recently, the jerk bbq was a little to sweet for me, but didn’t stop me enjoying the overall arrangement. Cheesy fries, what’s not to love? Crumbed halloumi, we can’t go anywhere without choosing halloumi and these were incredibly scrumptious. The sunshine quinoa salad added a little healthier righteousness into our meal and both of us would of quite happily had this as a main, vegan options are at times lacklustre in flavour, this wasn’t. 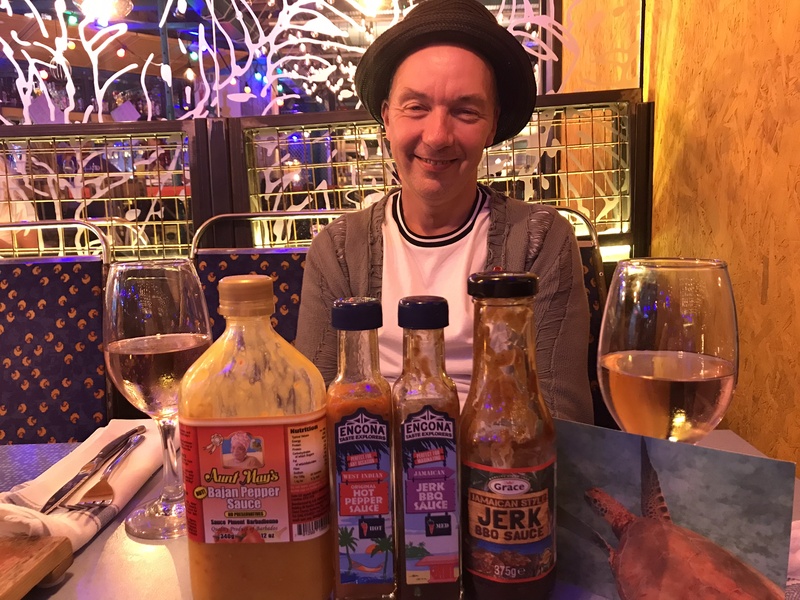 If you want to spice up your meal even more there’s a great selection of hot sauce on your table. If you were to opt for a dessert then there’s a great selection including Rum and Raisin bread pudding, Sugar dumplings, Banana and toffee cheesecake or a selection of ice cream however I settled for a pudding cocktail of espresso martini with vodka instead of rum. 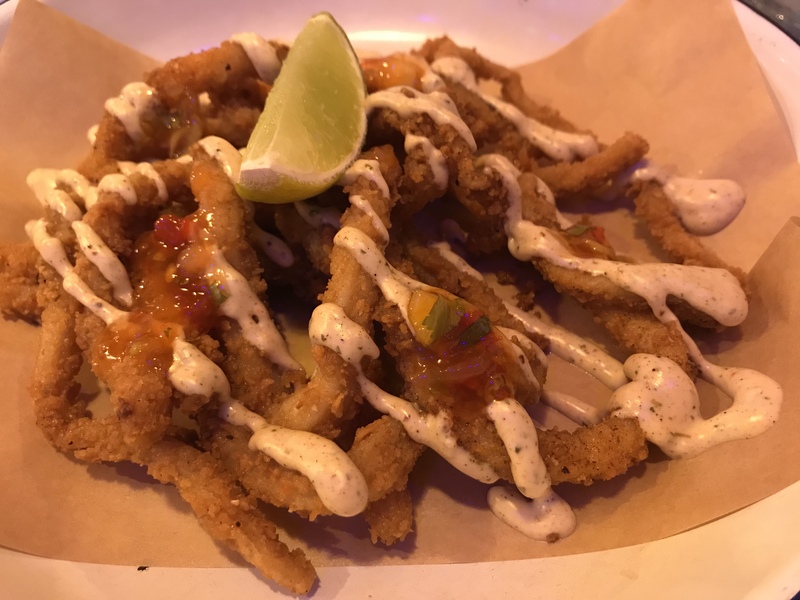 We had an enjoyable evening, the vibe in the restaurant was just what you would expect for an early Friday night, music not too load and there was a broad mix of clientele coming through the door. We would like to say a special thank you to Keiron, the manager on duty that evening who ran what seemed an effortless smooth operation and Lizzy our exotic waitress from LA who was exceptional as a server, more servers in Manchester need to spend time with her to see exactly how it should be done.